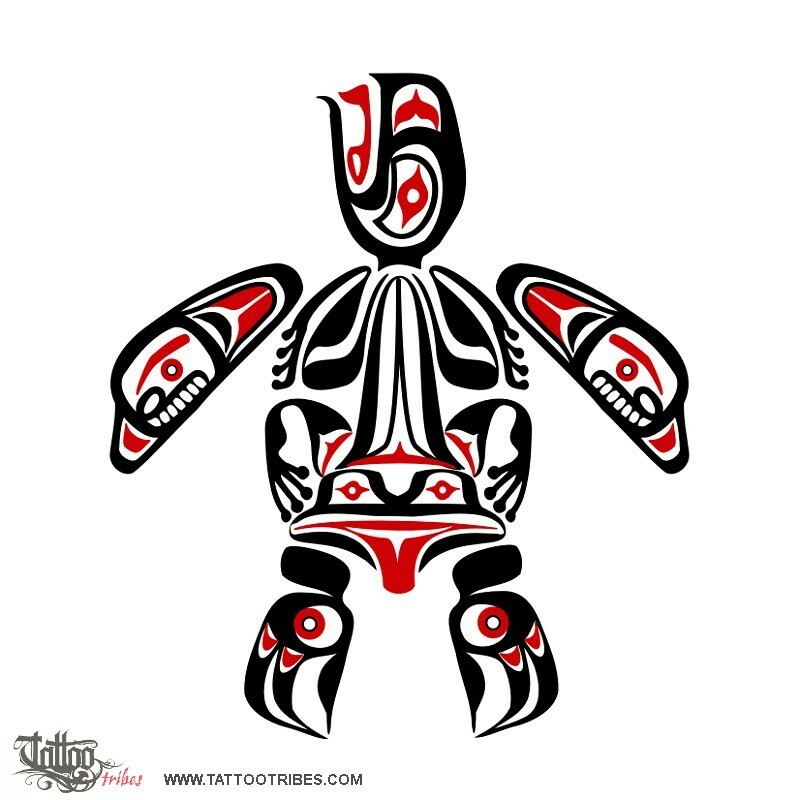 This Haida styled design is based on a request by Sandee, who asked for a turtle with a frog being her shell. 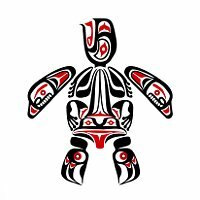 The turtle symbolizes long life and protection to many people, and the frog is a symbol of transformation and rebirth. We added some elements typical of the bear, as he is faithful to family, and of the eagle, to symbolize strength and victory.